After years of sitting on their Windows Mobile operating system and watching their market share become smartphone segment cage liner, Microsoft announced its Madonna-like reinvention in February: Windows Phone 7. …which will be available exclusively on AT&T’s network. The same carrier that has an exclusive agreement with Apple to sell the iPhone. So let’s say you’re the average consumer in the market for a smartphone and who, for whatever reason, wants or needs to be on AT&T’s network. 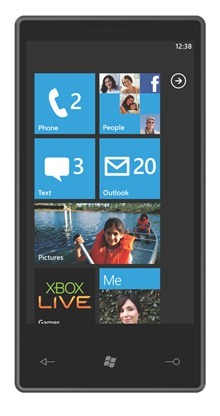 You have a choice between the iPhone, an Android phone and a Windows 7 phone. Why on earth would you choose a Windows 7 phone when you could have the most popular smartphone on the planet with highest customer satisfaction in the industry? Seriously, Microsoft: is this a company-wide deathwish? How do you make such horrendously bad decisions all the time? You don’t think you’d give your product more of a chance by being on a different network – a better network? Scott Moritz quotes Morgan Stanley as stating that Apple will fall to fourth place in Q4 based on Microsoft’s launch and Android’s continued success (and I assume behind RIM, but that’s not explicit in his article). 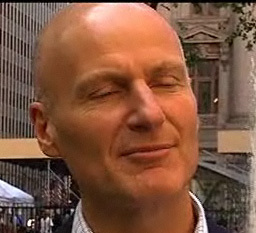 This is my Scott Moritz icon. I *love* this icon. But Morgan Stanley is wrong and Scott Moritz is a hit-whore who loves to snipe at Apple, not to mention a truly horrible prognosticator. Any units that Windows moves under AT&T’s banner will be peeled off of Android’s sales, not Apple’s. AT&T as a carrier is a microcosm of the global market. Anywhere people have a choice, the iPhone owns that market. Which probably explains why Morgan Stanley needed $10 billion in bailout money.